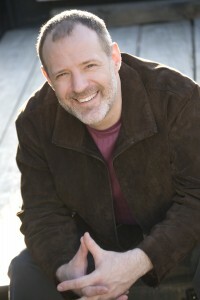 Marc Preston has spent over twenty years as a successful voice talent and actor. He’s currently heard around the world as the branding and promo voice of a number of broadcast networks and stations. Every day, his voice can be heard in over sixty million homes in the United States alone. He is also the voice behind countless advertising campaigns, as well as a multitude of broadcast and multimedia narrations. Sometimes, your profession chooses you; you don’t choose it. This seems to hold true with a number of the serendipitous opportunities that find a way of “happening” in our lives. Sometimes, we get a hint of the path we are going to follow at a very young age. Such is the case with Marc Preston’s path to a career as a voice talent and actor. Marc’s journey began over thirty years ago when he appeared in an ABC Movie of The Week. The opportunity to be on the set and experience the “magic” of the production process was a unique catalyst. It stoked an evolving intrigue in what would become a lifelong passion for performance. Marc was also entranced by radio as a child. There was something captivating about the theater of the mind that was radio. At seven years old, this too was “magical” for Marc and would set the stage for events years later in his life. At seventeen years old, Marc got his first shot at turning on the microphone at a radio station in his home town of Dallas, Texas. At twenty, he was already working at the ABC Radio Network. 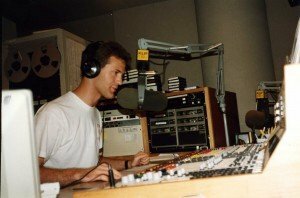 By the time he was twenty one, found himself earning a living as a radio personality with his own show in Dallas. Not only was he able to satisfy a dream that was years in the making, but he was also exposed to voice over and the additional creative outlet that it provided. During his years working as a radio personality, he was also immersing himself into every situation he could to develop his skills as a voice talent and actor. Throughout his career in radio, Marc worked in premier timeslots on a number of marquee radio stations. His voice has been heard on the air in markets such as Dallas, Los Angeles and New Orleans. Years after his first opportunity at ABC Radio Network, he returned to host his own nationally syndicated radio show that was heard in dozens of markets around the United States and abroad. Though he was fortunate to achieve a tremendous amount of success in broadcasting, he left the air a number of years ago to focus on an already successful career in voice over and acting. As a voice talent, Marc is currently heard around the world by millions of people every day. He has been fortunate to work on hundreds of diverse and intriguing projects over the past twenty years. As an actor, Marc’s work, as well as the roles he has taken on, has also been quite diverse. From his first role at seven years old, Marc has been entranced by the magic and possibilities that acting provides. Whether it’s a microphone or camera, his unique versatility has been widely recognized for years and consistently sought by producers, directors and a diverse group of creatives from around the world. Marc does spend time in Los Angeles when the project necessitates his being there. However, he currently spends most of his time in New Orleans, Louisiana. As the new “Hollywood South”, Marc stays busy with the opportunities that are happening close to home. 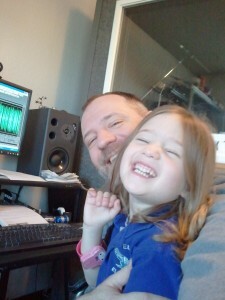 Marc enjoys the unique opportunity of spending extra time with his three young children while working from his home studio. When they’re home, there’s usually at least one of them in his studio chair while he’s recording in the sound booth. In fact, if you have heard Marc on TV, there’s a good chance you’ve heard at least one thing that his nine year old daughter, Lily has engineered. It has been a varied and intriguing career for Marc so far. He is very appreciative of the creative opportunities he’s been presented. He considers himself fortunate to spend each day working with extremely talented and inspiring writers, producers, editors and directors from every arena of film and broadcast production. For Marc, being able to go into the studio each day and “create” is a realization of a dream that began over thirty years ago. To be able show his children that they can earn a living following their passions…enjoying the opportunity of challenging themselves daily, applying their talents and creating something of value…that’s success! If you’re curious what it’s like to work with Marc, see what people have to say on the Testimonials Page.